Being the fearless, dedicated blogger that I am, El Jefe took me to Tripoli yesterday to hear first-hand what the people think about what is going on — "What?!!!! ", I can hear you asking! You went to Tripoli? 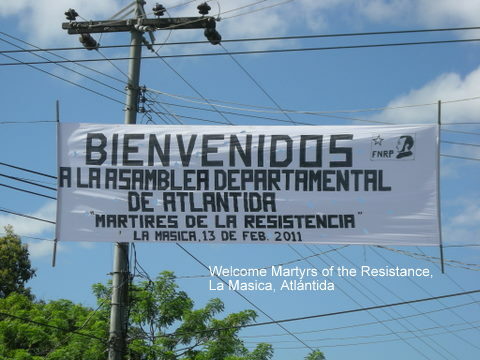 Yes, Tripoli, Atlántida, Honduras, that is. ;-) Since we were on a road trip, we swung by Caracas (Honduras) as well. 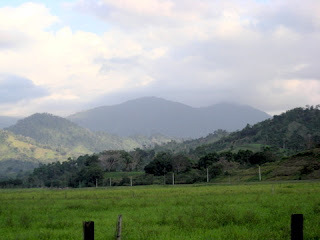 Our initial plan was to visit Paris (Paris de Leán, Honduras), too, but we ran out of time. Traveling on those bumpy, back roads takes hours! 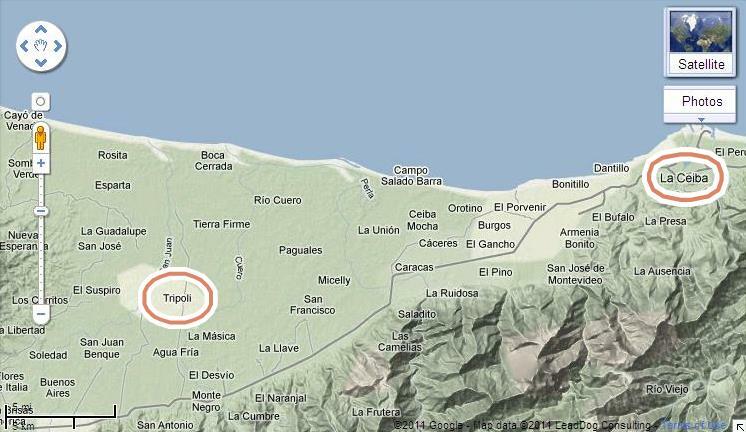 Tripoli is a little pueblo in the municipio (municipality, which is kind of like a county in the US) of Masica in the departmento (state or province) of Atlántida. We were curious how Tripoli got its name and what the people thought about what was going on in Tripoli, Libya, if they were aware of it. We had our plan in place, including printing some Google maps, mapping out the back road scenic route, and writing down the questions we wanted to ask. I was prepared with four sets of batteries, hoping for some great video interviews. 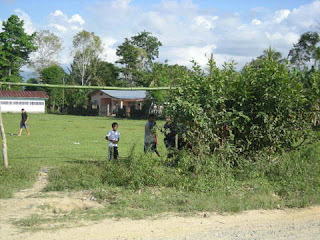 The best made plans, however .... well, you know how that goes in Honduras! We didn't find anyone who had too much awareness about Libya or where the name Tripoli came from, so we went on to plan B, which was to find out more about the life in Tripoli, Honduras. 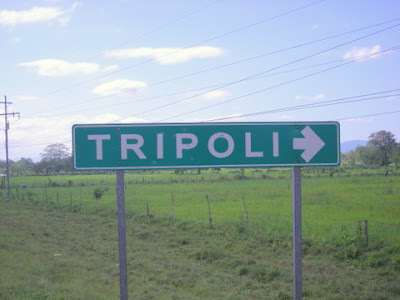 The 2001 Honduras census lists Tripoli as having a population of 799 living in 180 homes. As the map shows, Tripoli is in a low area, and we found out later that in the early years (1920s - 1930s), parts of it were actually under water and much of it was planted in rice fields. Now much of the area is used for raising cattle and cultivating corn, as well other crops. A current resident estimates that the population may now be about 1,000. The little pueblo included no businesses that we saw other than a few pulperías (sort of small mom and pop type convenience stores — read more about pulperías here). 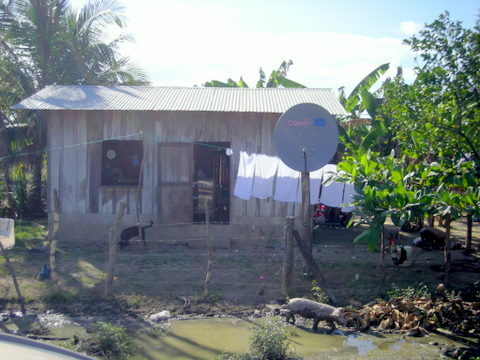 The community is somewhat self-sufficient with small crops of bananas, yuca, coconuts, and other staples. Meat is obtained from backyard (or free range) chickens, pigs, and cows. Many people fish in the nearby rivers. 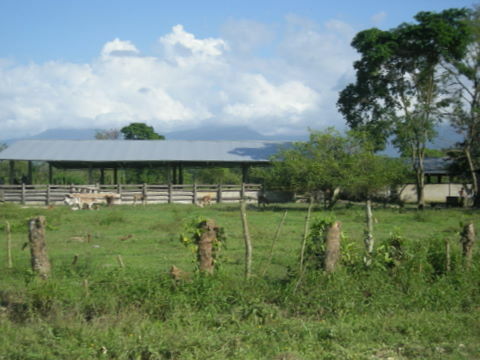 The campesinos occasionally travel to nearby Masica or take a longer trip to La Ceiba for more extensive shopping. A village elder told us that a creek was filled in and the road was built during the administration of Roberto Suázo Cordova (1982-86, the first democratically elected president under the current constitution). 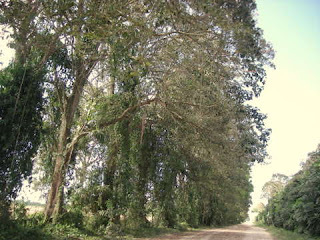 The road is gravel but extremely wide by Honduran standards so it will be nice if and when it finally gets paved. One thing that I really noticed was that most everything was neat and tidy and even some very poor looking homes were well maintained. No piles of trash in front of the houses or strewn along the road as we so often see in La Ceiba. Our interviewees informed us that Tripoli has had running water for approximately 20 years. A line was run from up in the mountains, then under the highway and on to their village, which the sign says is about 7.5 km. (about 4.75 miles) from the highway. (I'm not too sure about that mileage. We both thought that it seemed much further than that and took at least 20 minutes to drive.) Water is generally available 24 hours a day, unless a pipe gets broken or some other maintenance is needed. I saw water running from an outside faucet during the entire time we were there so awareness of the need for conservation has not arrived. Tripoli has had electricity only for about three years, but residents have jumped full force into current times with many, many of the houses, even the most modest, sporting these Claro TV satellite dishes! 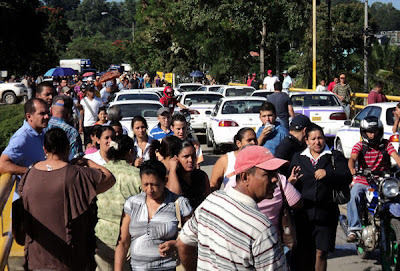 The people were relatively satisfied with their local mayor who they believe has accomplished some projects for them and with the Masica municipal government. The only complaint that we heard was about the road, which hadn't been graded in more than a year and was quite bumpy and dusty. The mayor has promised to pave it, and "we'll see" was the general attitude. The mayor says (as all politicians do!) that he is hampered by the debts left by previous administrations. 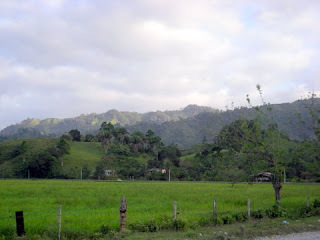 They said that the area is muy tranquilo (very tranquil, quiet, laid back) with no crime problems. When it came to the national government, everyone proudly proclaimed their "colors" (blue = Nacionalista or red = Liberal) without being asked, but admitted that it didn't seem to matter what was promised by the politicians or which color they were, that they were all the same when they got into office and forgot about small communities like this. 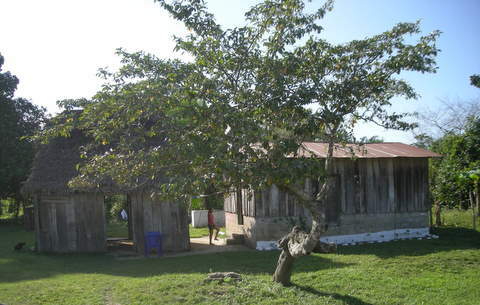 The pueblo includes a nice school that was built during the Maduro administration (2002-2005) and several churches. Initially we were told that the teachers never strike there, but while talking to a younger man who lived across the street from the school, we found out that the Resistance teachers locked out the children pretty frequently last year, but so far this year (two weeks) the teachers hadn't missed any days. He said it was a shame especially because so many of the children walk a long distance with their backpacks from other even smaller villages and are so disappointed when they don't have school. 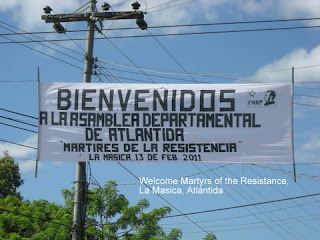 We had seen a big sign welcoming the Resistance "Martires" at the highway turn off to the town of Masica so we asked this younger man, the grandson of Don Jesús, if there was a lot of support for the FNRP in that area and whether they were admired as martyrs (heheheh — trying very hard not to show our personal opinion in order to get a frank response). He responded with something like "Pfffft!" "More like delinquents!" he said. He told us that those same teachers are the ones who put up the sign. I was surprised to see that Tripoli had a Centro de Salud (health center) in which we were told that a nice lady doctor attended to people 5 or 6 days a week. 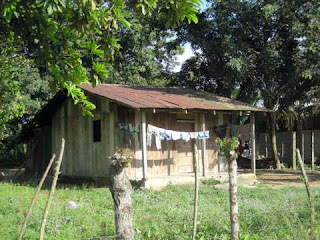 It looked like a tidy, well-maintained little building (lost the photo). I had no idea that Centros de Salud were available in such small towns. Don Pedro, who had agreed to be our guide, also pointed out the two nice soccer fields for the young people. We all laughed about him being our tour guide since Tripoli basically only has the one street. 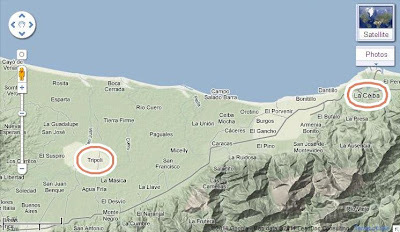 Don Pedro, who is originally from Ocotepeque, described Tripoli as a 'zona de trabajo' (work area) and a very nice place to live. When asked about availability of work in the area, both Don Pedro and Don Jesús stated that there was agricultural work, but that was all. Many of the people that we talked to during the day had sons or other relatives living in the larger Honduran cities or in the US and seemed sad about that. Oh, in case you aren't familiar with the term, 'Don' and Doña (for females) are common terms of respect when referring to others, especially older people. I love these road trips out into the country and the small villages. I have a ton more photos from Tripoli and the various pueblos of Burgos, Orotina, El Gancho, Cáceres, and Caracas that we drove through that I'll be posting soon. These last two photos are of the mountains as we neared the highway when leaving Tripoli. In a rare feat, La Ceiba made the first 30 minutes of the national news on Monday, February 21. Taxi drivers were on strike because they want a cash subsidy from the government due to the high price of fuel. Taxistas were joined by the national teacher union strike. The teachers' unions were primarily protesting against the national congress' move to look into revoking or revising the teacher law as recommended by the International Development Bank [report summary in English] [full BID report in Spanish]. This law was so poorly conceived that the government basically has no control over teachers and mandates salaries and benefits that are completely unsustainable. An additional reason for the strike which gets more sympathy among the public is that some number of teachers (no one can agree on the number) are still not being paid. This was the third national strike of the school year, which only began on Monday, February 14. 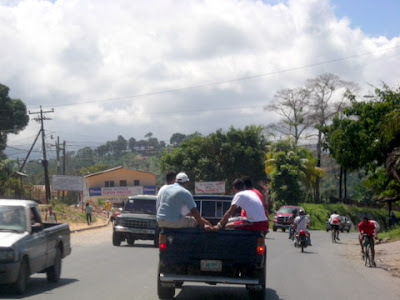 Protesters blocked all traffic on the main highway into La Ceiba at the Rio Danto bridge, a strategic location which not only prevents all commercial traffic from reaching town and the whole eastern north coast, but also prevents many Ceibeños who live on the west side from getting to work and vice versa. But that wasn't the big news. The big news was that the police actually took action after allowing the strike for a few hours. The police warned the protesters to leave. The strikers didn't, so the police dispersed them with tear gas and removed the taxis from the road — following through on President Lobo's warning that protesters would not be allowed to limit the constitutional right of free circulation of other persons. Several defiant protesters were taken into custody but were released within hours. Twenty-nine teachers were held at the police station for four hours, but not in cells, until an agreement was reached by the police, teacher leaders, Human Rights representative, and Ministerio Público in which the teachers would be released but if they re-offended by violating the right of free circulation of others again, charges would be filed against them. The agreement was signed by all parties, except the teachers. The FNRP (Resistance) portrayed a whole different story, claiming that the teachers' human rights were violated. On a morning talk show, Jaime Rodriguez, COPEMH union president, said that teachers aren't slaves (to be held to working 200 days per year) and claimed that students don't need 200 days of classes anyway because of the poor condition of the schools. The news video showed the striking teachers running from the police like rats from a sinking ship. I switched over to a local channel that had additional video of the events. It was having a call-in poll on this topic. The question of the day was whether or not the callers agreed with the "violent" dislocation of the strikers. Though the extensive video shown on this channel did not show any abuse or excessive force, the host was obviously trying to steer the results by talking about how abusive it was to use tear gas, that everyone has a right to strike, that the police treated the teachers like criminals, blah, blah, blah. Despite his best efforts, it wasn't working. Caller after caller, all noticeably angry, said that they agreed with the police, that the teachers were criminals, that the teachers had no right to use their children as hostages or to prevent others from going to work. "La Ceiba needs development, not strikes!" "I want to work, not strike!" "I'm glad the police are finally doing something about these delinquents!" Out of about 20 calls, only one said that the teachers were right because he said that his brother, a teacher, hadn't been paid in a year and a half. 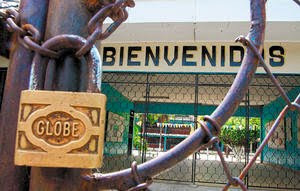 According to the local news, teachers in five La Ceiba schools ignored the call for strike and held classes as usual. One school director said that the government needs to solve the pay problem (in which 1-6,000 teachers nationwide are reportedly owed pay), but that striking was not the answer and was not fair to the children. Last year, President Lobo proclaimed that a day not worked is a day not paid, a statement with which 91% of the callers in this poll agreed. The problem is that there is no system in place to know who is working and who isn't. As far as I can tell, that information would have to come from the school directors who are often the ones locking the school doors and forcing their teachers to strike. The TSC recently said that it would take action against school directors who are falsifying attendance records. Other teachers are no better than criminals, committing fraud by collecting their pay each month without teaching. Approximately 20,000 (of about 60,000) teachers have been charged with accepting bonus pay for which they are not qualified and other irregular payments. A formal denuncia was recently made by a small, rural community in which the parents kept track of the days worked by the teacher. The teacher worked only 36 days out of the entire 2010 school year. Others in small communities report that the teacher shows up when he feels like it, maybe 2-3 days a week, maybe not at all. It is obvious that the Education Department has no controls in place to properly process payroll or to determine teachers' attendance. 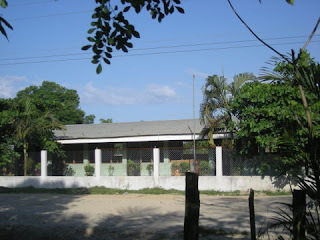 The NGO Transformemos Honduras is asking for help from parents' associations to monitor days of school. The official 2011 school calendar indicates that the teachers would begin on February 1 and the students on February 7, but that didn't happen. Honduras has a whole generation of students who have never had a complete school year and those high school students will be the next teachers — a university degree is not required for teachers at the lower levels. The very same human rights groups who make wild unsubstantiated claims about human rights abuses in Honduras have nothing at all to say about the human rights of children. 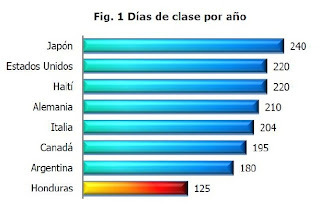 The right to an education is guaranteed by the Honduran constitution. Many teachers don't agree with their unions or the strikes. According to the IDB (BID) study, about 94% think there are too many or way too many strikes. But many teachers continue to go along with them for fear of losing their jobs. It is time, way past time, for ethical teachers and parents to stand up to the unions for sake of the future of the children. Teachers who aren't willing to be part of the solution are part of the problem. 1,100 La Ceiba taxistas are getting their bonus from the government, L.2,500 (US $132). Jaimie Rodriguez of the COPEMH union has declared strikes for Monday, Tuesday, Wednesday, Thursday, and Friday next week. 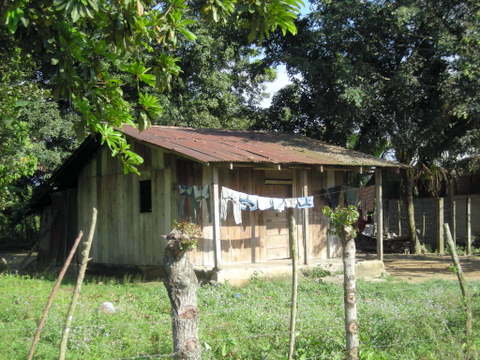 Why is Honduras so poor? I know why Honduras is so poor. Don't be looking for any deep answers about Spanish colonization, US banana company and Canadian mining company exploitation or the atrocious educational system. I'm going to give you some answers about why, right now, today, because of bureaucratic idiocy, incompetence, and carelessness why Hondurans can't get ahead, from actual true stories. 1. Careless bureaucratic clerks make errors on birth certificates, preventing children from going to school and later on from getting jobs. The only remedy is often a journey to other parts of the country which poor people can't afford and/or hiring an attorney to do battle with the government, which poor people also cannot afford. Example 1: one child was not allowed to attend public school until he was 10 years old because of an error in his date of birth. Though he was obviously head and shoulders taller than the other children, it was not permitted by the school authorities, because documentation is king and common sense and human decency will never enter into the equation. Imagine how this child's ego was affected by going to class with kids four years younger than himself. Example 2: another child whose parents died did not have a birth certificate. His extremely poor grandparents were told that they couldn't get one for him and he was not allowed to attend school, period. He took to a life of theivery by age 9. Example 3: an 18-year-old boy could not get full time work for more than a year because he couldn't get his birth certificate and thus could not get his ID card, and thus could not get a job. He was occasionally able to find what is called "informal" employment in which he was often severely underpaid or just flat out cheated out of his pay completely. What can he do? He can't even file a labor complaint without an ID card. 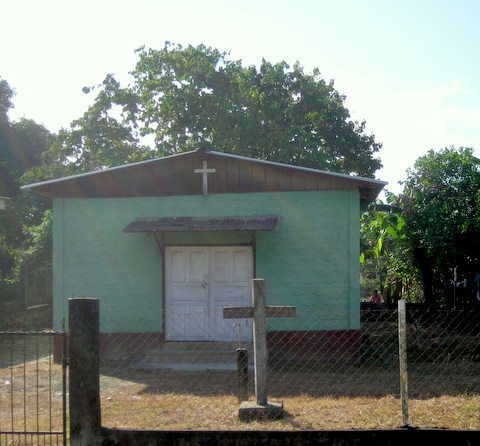 Example: Arexy's son completed 4th grade in Tocoa and was not permitted to enter school AT ALL in La Ceiba because for whatever reason, he didn't have that paper. You might think that one school might contact the other for verification, but no, it's not the policy. You might think that they could put him in one class or the other and wait a couple of weeks for the certificate, but no, it's not the policy. He'll start school two or three weeks behind the other students. Many parents would just give up and not send him to school at all. 3. Bureaucratic clerks "forget" to put the official stamp on the back of high school diplomas, preventing Hondurans from getting jobs for which that is a requirement — unless they, too, hire an attorney to battle the issue with the Department of Education in Tegucigalpa. The local school records mean nothing. The educators pass out the worthless graduation certificates to entire classes with no feeling of responsibility or even thought on the part of the local education bureaucrats to check and correct the problem in advance. Later they are quick to say that it wasn't their fault and that the correction can only be made by an attorney in Tegucigalpa. 4. Incompetent bureaucratic clerks frequently mispell or type the wrong name on ID cards. They don't check their work and in fact are mortally insulted if you should even suggest that it might be a good idea to do so before the card is printed. ID cards are needed for everything in Honduras. Without one, you can't get a job, open a bank account or access a previously opened bank account, get a driver's license, utilize government services or benefits, and a myriad of other things. You can even be picked up by the police just for not carrying one. No matter that your birth certificate shows the correct name, once the mistake is made, it can take numerous frustrating trips to government offices, again the hiring of an attorney, and literally decades to force the government to correct your name. In two examples that I personally know, the persons were forced for more than a decade to use a name that wasn't theirs because it was easier than getting a corrected ID card! But imagine the problems this creates if the correction is ever made or there is a situation where both the birth certificate and ID card are required. 5. University "graduates" from at least one school (UTH) are made to wait a year to a year and a half to submit their monograph because it isn't convenient for the administrators. Without the approved monograph, the students cannot officially graduate or receive their diploma. Without the official stamped and signed diploma, no one will hire them in their field, so you find engineers with 4-5 years of university training working in the drive-thru window at Dunkin Donuts! Those are the lucky ones. Most can't find a job at all. 6. Universities sometimes lose a student's academic records. Guess what the solution to that is? Simple enough for them to say: Pay for and take the classes all over again. 7. And if number 5 isn't enough, some clerk will discover — after the student has been accepted at the university, paid for and completed four years of classes, and waited a year to submit their monograph — that the magic sticker is missing from their high school diploma so they can't graduate from the university, even though this same high school diploma was accepted as satisfactory 5 years earlier when the student entered the university. Go back to number 3, hire an attorney, and hope that it won't take another six months or year or longer to get the sticker, because in the meantime, your family could get pretty hungry. All these trips to government offices can require many days of lost work, going from this office to that office, standing in line, only to be told that there is no paper or no ink for the printer, "come back next week or next month," or that the only person authorized to sign the document is on vacation, or to find that the employees are on strike. In Arexy's case, if she didn't have someone in Tocoa to help her, her only choice would be to take off work, take all of her kids out of school and take a bus trip to Tocoa, where the chances of her getting the certificate in one day are slim to none. Birth certificates and ID cards used to be free. Now it costs L.200 to "reposition" them (i.e., correct or reissue) which is going to compound this problem among the poor in the future. For some, paying L.200 for a document can mean the difference between their family going hungry for 2-3 days or not. Which would you choose? To make matters worse, way too many of these incompetent politically appointed clerks revel in their power over the poor and uneducated. "No se puede." (You can't!) is said with such assurance and finality that many humble people, trained from birth to never question persons of authority, just walk out with their heads down and shoulders sagging, feeling powerless and doomed. 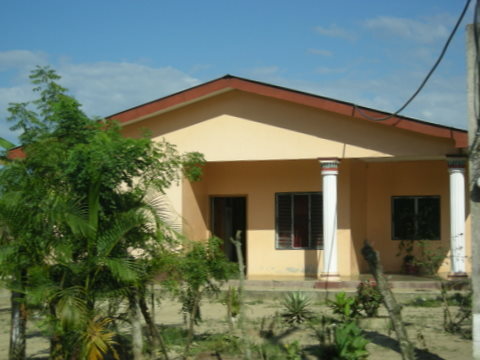 Some are so poor that the idea of hiring an attorney to help them is about as farfetched as buying a villa on Roatan. While Micheletti was president, many Hondurans, for the first time, felt that Honduras was a democracy, and that the people had actual power. For once we were proud of our Constitution and our President. But Lobo, in recognition of who is really presiding over Honduras, extinguished the nationalism that had very briefly shone in our eyes. I cannot be proud of Lobo nor admire him. I understand what he is doing, I even agree with some things, and would not like to be in his shoes. But his complete spineless submission to the US tempts me toward bitterness. Because of him, it is business as usual in Honduras; the Banana Republic has more than ever become a parody of democracy. 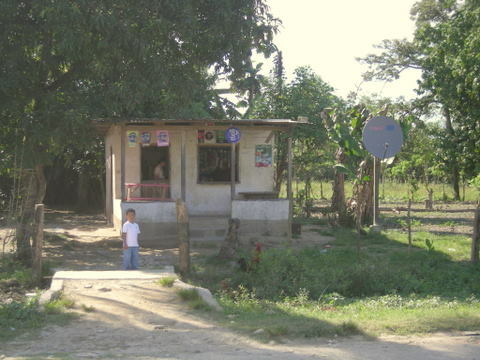 Recently the US removed Honduras from the Millennium Challenge aid program reportedly due to corruption — which had to have been during the Zelaya administration since that was the period covered by the review. Makes you think corruption is a bad thing, huh? 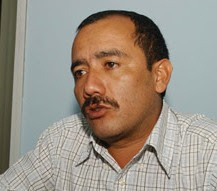 The timing more likely indicates that it was punishment for Lobo's failure to get the Supreme Court to reverse their decision to try Zelaya on corruption charges, despite Lobo's and the Congress' numerous heavy handed attempts. Separate but equal powers of state? Not important when the US government has its boot on your neck. 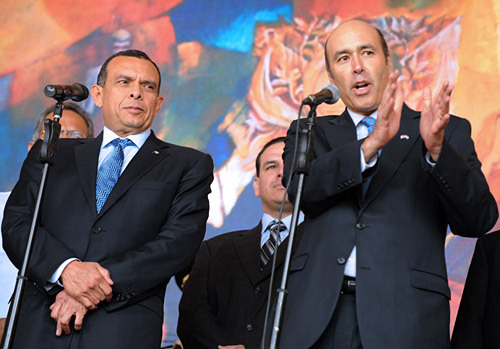 Ambassador Llorens and the US government have continued to hammer Honduras for a year and a half to drop all corruption charges against Zelaya. Most of the original charges have already been dropped due to that pressure but still remaining are the minor difficulties of the well documented L.40 million cash withdrawal from the Central Bank of Honduras four days before the planned election, the L.10 million check paid to the order of the presidency cashed at the Central Bank two days later, and the L.30 million that Zelaya diverted from FHIS (aid money for social investment) to use for cuarta urna campaign publicity. How can those be explained away as being politically motivated charges? There is also the question of US bank accounts in the names of Zelaya's friends and family which might offer additional evidence of corruption, if the US government would share that information, which apparently they will not. I found it incredible that Llorens says that Lobo hadn't thought of the international reaction to General Romeo Vasquez continuing as head of the Honduran military forces. If true, it's not a good sign of the political savvy of the Honduran president. On the other hand, Lobo eventually selected a general who was neither his nor the US's first choice. Hugo Llorens is a chismoso (gossiper, scandalmonger). He repeats everything he hears like a parrot without any proof whatsoever. He is an example of the class of person the US sends to our country. Llorens pointed out the scandal of the duplicate printing of the official government Gaceta, one version with the decree approving the contract (which the congress initially denied approving) and one without. It was a big scandal....for a few days, and then — incredibly — was explained away by the current congress as a proofreading error. I'm not sure whether the contract was actually approved or not. I don't recall that President Lobo had a word to say about it. I think there was going to be an investigation and then it just faded from memory. Or maybe I'm confusing it with the other Gaceta scandals there have been during this administration. The scandal has the hallmarks of all Honduran scandals, i.e. several days of outraged newspaper articles, with intimations of private interests at stake, followed by grandstanding by law enforcement officials and, finally, no meaningful action or change. Oh, so true! In the end, nothing ever happens, ever. We see the "shows" over and over again, but we never see an ending to the stories. You can find all of the Honduran Wikileaks cables here. Game over ... or is it? I have been closely watching the events in Egypt for the past several days and I can't help but make a comparison to Honduras. It's a very different situation but I keep hearing and reading many of the exact same statements from the US State Department. The hypocrisy of the USA is shining through for me once again, as it has during each of the several coups that have occurred throughout the world since June 28, 2009, all of which basically received the blessing of the USA, even when they were bloody military coups. Rather than being a beacon of freedom and democracy throughout the world, as the government constantly tells us, the USA has been fully supportive of ruthless dictators and oppression of the people, as long as it fits into US business and political interests, as it has in Egypt for 30 years. Oh, sure, you say, isn't every country looking out for their personal interests? Yes, but not every country is going around the world claiming to stand for democracy for people everywhere. The hypocrisy is clear to the people of Honduras and Egypt. And not every country has the political and economic clout to crush countries if they don't cooperate. If you wonder why there is so much anti-America sentiment around the world, take a closer look at what the USA actually does in those other countries, not what they and the media tell you that they do. Here in Honduras and so far in Egypt, the US government has managed to anger and/or disappoint both sides of the issues. The US supported the Mubarak government for 30 years, knowing full well the repression that was occurring. With the exception of the wars in Iraq and Afghanistan, did you know that Egypt has been one of the largest recipients of foreign aid, second only to Israel? The Mubarak regime has received more than US $1 billion (as high as US $3 billion in 2000) in primarily military aid each year for the past decade. Could Mubarak have stayed in power for 30 years without that money and the support of the Egyptian military? CNN estimates Mubarak and his family's personal wealth at US $40 to $70 Billion. When I read and hear US government spokespersons say that it should be up to the people of Egypt to choose their president, that the US supports democracy in Egypt, I am sure as I can be that the US is currently picking the next president of Egypt. My only question is whether the next president will be good for the people of Egypt or only good for American interests. We heard US representatives say dozens of time that they would support a Honduran Accord and a Honduran decision regarding the return of Mel Zelaya and that they support the people of Honduras. The behind-the-scenes truth is that the US did not and still does not support the Honduran Accord because it wasn't the accord that they wanted. The US has not only ignored the responsibilities of the "international community" but has imposed several new requirements not included in the Accord, most notably amnesty and pressuring the Supreme Court of Honduras to drop all corruption charges against Zelaya. The only two reasons that I can think of are that a) appeasing Hugo Chávez and his minions was more important than doing the right thing for its ally Honduras, and/or b) that Zelaya has some dirt on Ambassador Llorens or the US that he is threatening to expose if he doesn't get his way. Here is another oddity: Proportionately, the pro-government, pro-democracy, pro-Micheletti, anti-Zelaya demonstrations were much larger than those in Egypt. 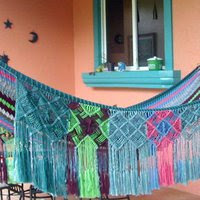 Honduras has a population of about 8 million, with about 1.5 million living in Tegucigalpa. Egypt has a population of about 80 million, with Cairo having a population of about 8 million. The Honduran pro-government protests were estimated to be as much as 70,000 protesters and occurred in every major city in the country, while today (February 4) Cairo's largest protest to date was estimated by CNN to be approximately 30-40,000 people. Yet the US and the international media choose to ignore those peaceful Honduran protesters and focused on the few hundred, often paid, violent pro-Zelaya protesters. Apparently, the mistake that Hondurans made was that they didn't stay on the streets long enough. Tonight I heard the latest buzzwords: "This has to be an Egyptian solution." Awwk! Deja vu. Beware Egypt! Don't let the US be involved in your Egyptian solution. 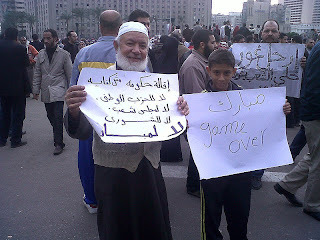 They do not keep their word and you will not end up with an Egyptian solution. Thanks to Wikileaks, it will be harder and harder for the US to continue to say one thing in public and do something entirely different in secret. Playing both sides of the fence will be exposed. I think that is a very good thing both for the USA and countries all around the world. All governments need to be accountable to their people. I have lived to see the uprise of the Egyptian people and the downfall of Mobarak. I can dream about having kids and me telling them proudly that I was part of this extraordinary moment. and we just seized our country back. You can read of her protest experience here: Long Live the Revolution of The Egyptian people and view her photos on Flickr.